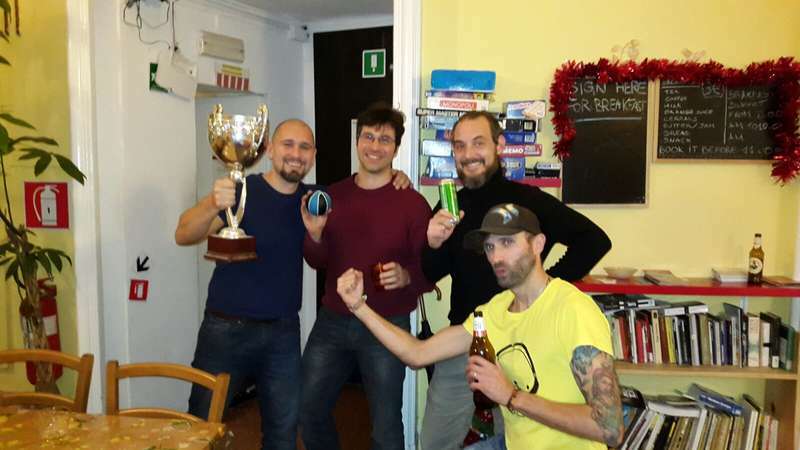 Manena Genoa Hostel provides different kind of accommodations, according to the guests' needs. You can stay in our 4 or 5 beds private rooms, or in our dorms (with 5, 8 or 12 beds available). All rooms are very bright and spacious to let you have a comfortable stay in Genoa. We like to give all our guests a free map and show them the best spots in town: history, art, melting pot, food, shops and nightlife and much more. Let's join our walking tour, you'll be surprised! 5. Take the two before the last alley on the right: it's Vico alla Chiesa della Maddalena, you will find us at street number 9/1 and see the big hostel sign! 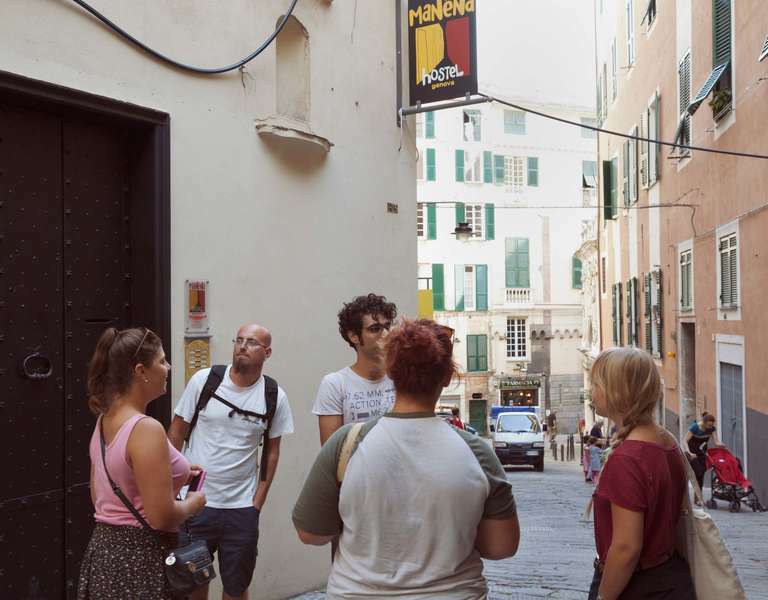 * As you see the hostel sign (3rd alley on the left), turn left in Vico alla Chiesa della Maddalena, we're at street number 9/1! 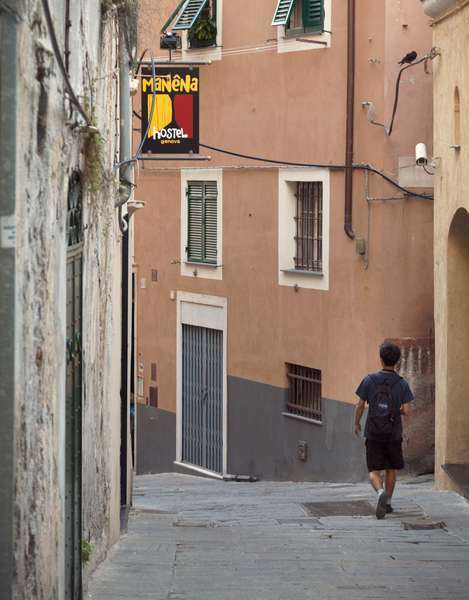 DON'T CONFUSE the hostel address with the next street “Vico dietro Il Coro Della Maddalena” . Manena Hostel reserves the right to pre-authorize your card prior to arrival.